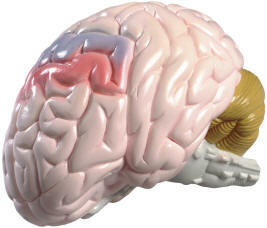 Normal Right Half Brain features: Frontal, Parietal, Occipital and Temporal lobes; Cerebellum; Interthalamic adhesion; Corpus callosum; Pons; Midbrain-central peduncle; Olfactory bulb; Optic nerve; Optic chiasm; Mammillary body; Medulla oblongata. Comes with base and patient education card. This deluxe brain is medially divided. 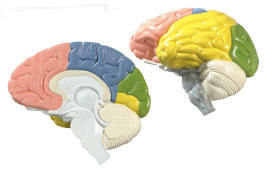 On the right half, you will find a colored, systematic grouping and representation of the cerebral lobe. 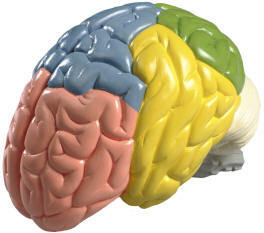 The left half shows: pre- and post-central region, Broca and Wernicke area, Heschl's gyrus, brain nerves, and ventricles. 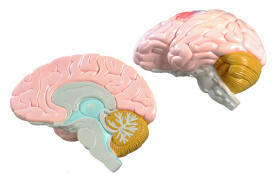 Both halves can be disassembled into front with parietal lobes, temporal with occipital lobes, half of brain stem and half of cerebellum. Comes with removable base. 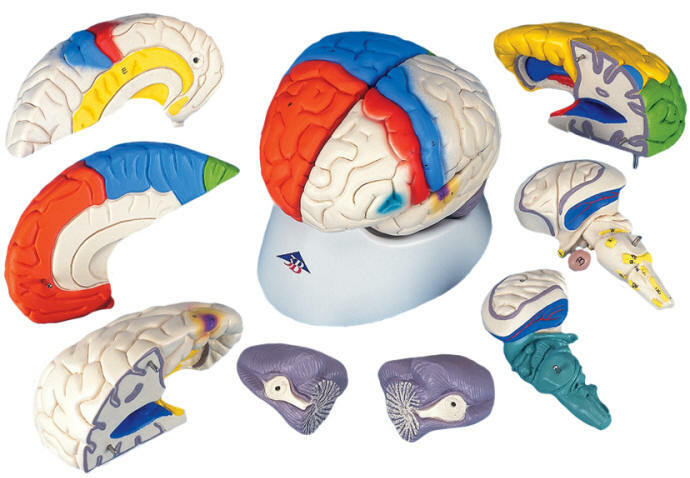 This life-size model uses contrasting colors are used to indicate various anatomic structures in the human brain, making this high quality model perfect for beginning anatomy studies of the human brain. Made of unbreakable vinyl, and anatomically accurate. 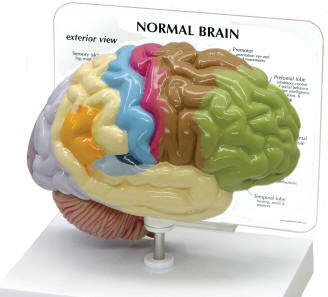 Comes with removable base for easy display in a classroom or doctor's office.